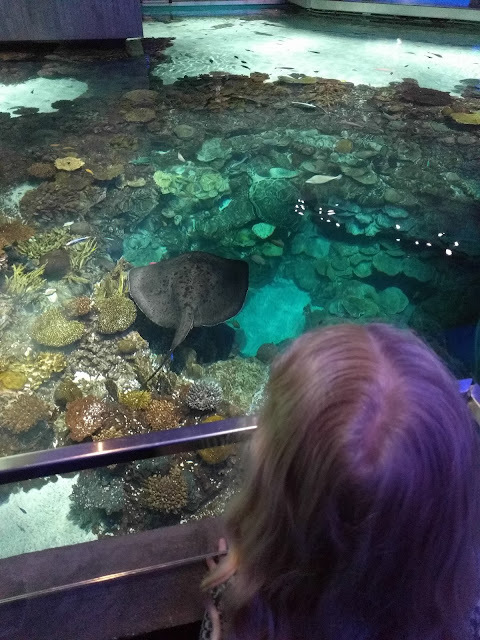 So the week after we got back from Michigan back in May, we went to the Baltimore Aquarium for my mom's birthday. 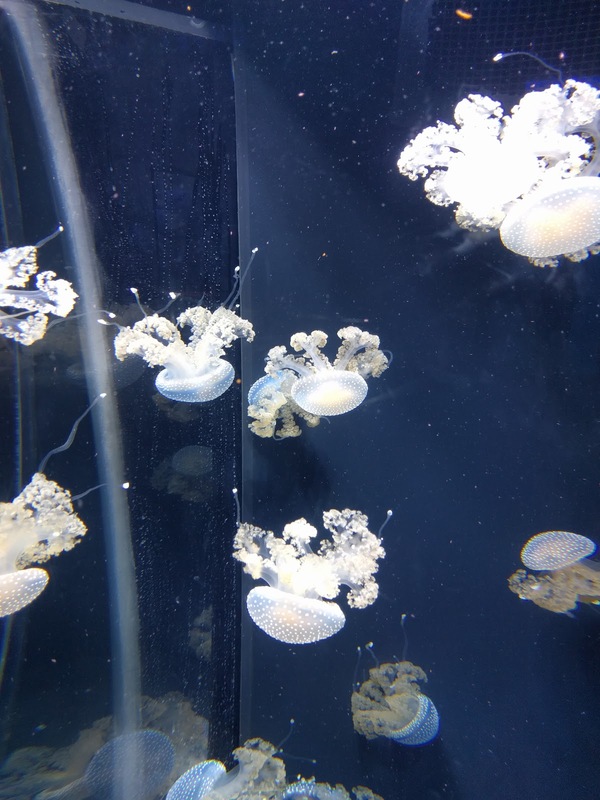 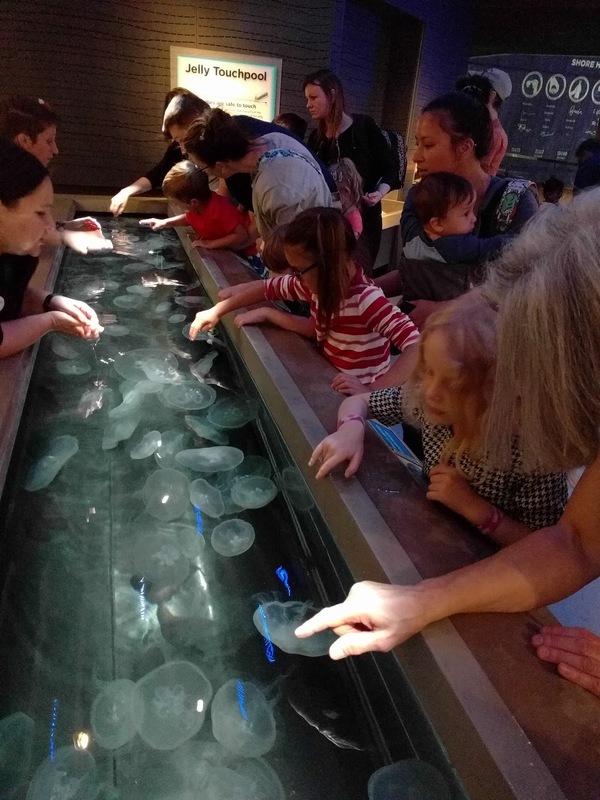 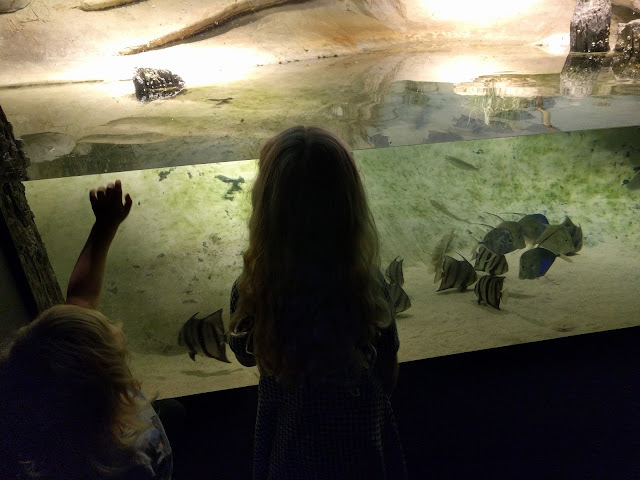 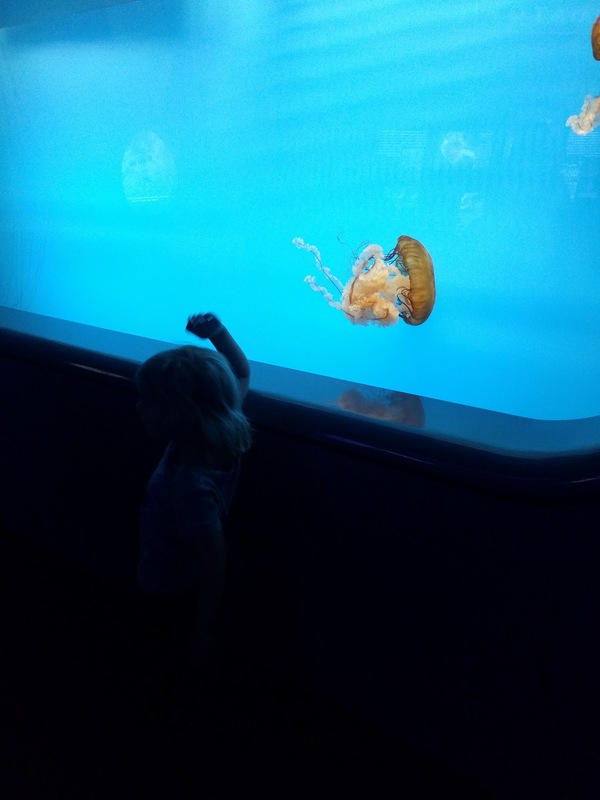 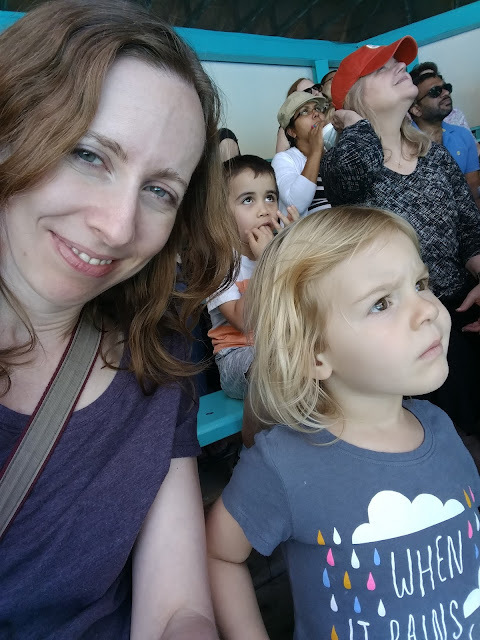 The girls were pretty excited about their first trip to a full-fledged aquarium, and I think my favorite parts were petting the jellyfish, seeing all the different kinds of jellyfish there, and... really, anything related to jellyfish. 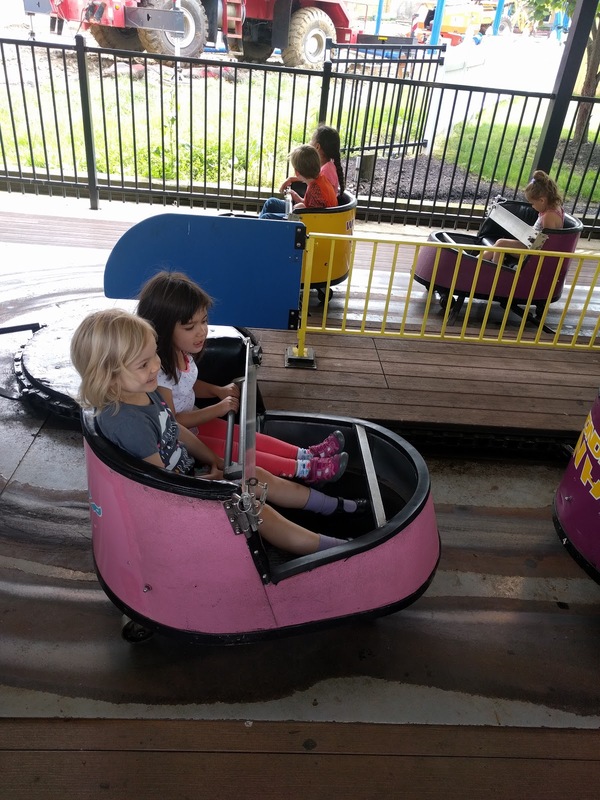 The next trip was to head back to Lancaster, PA to go to Dutch Wonderland with our friends. 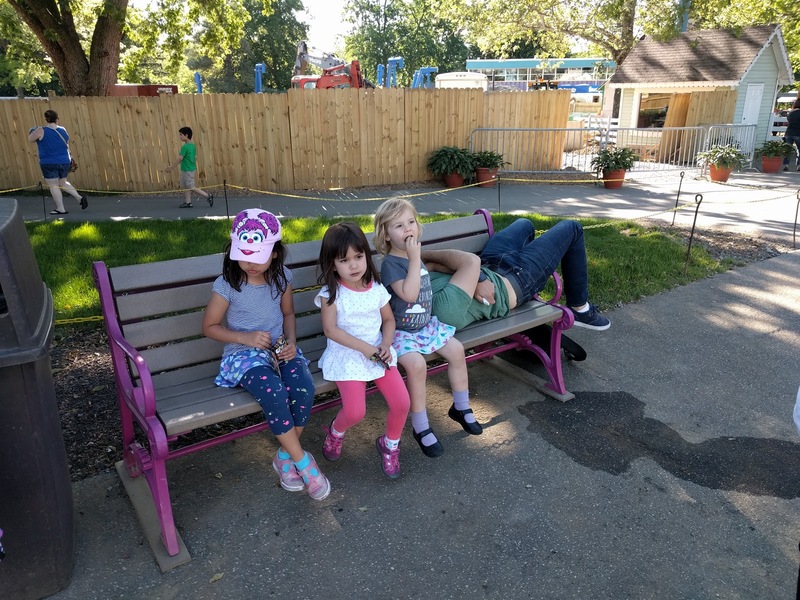 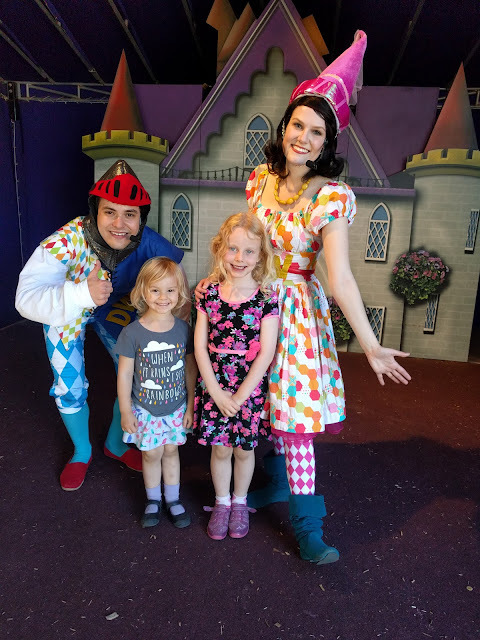 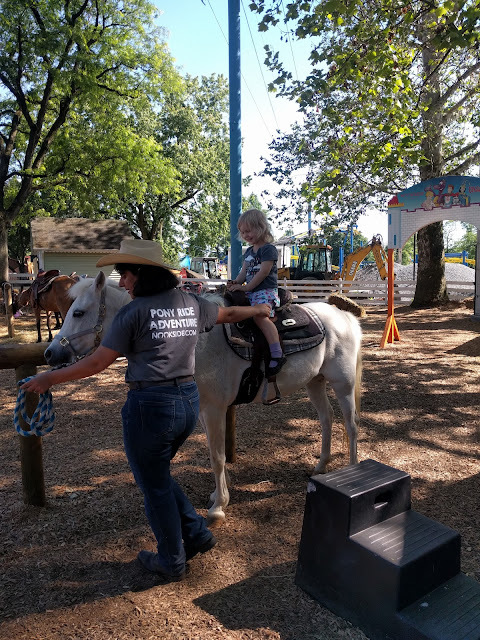 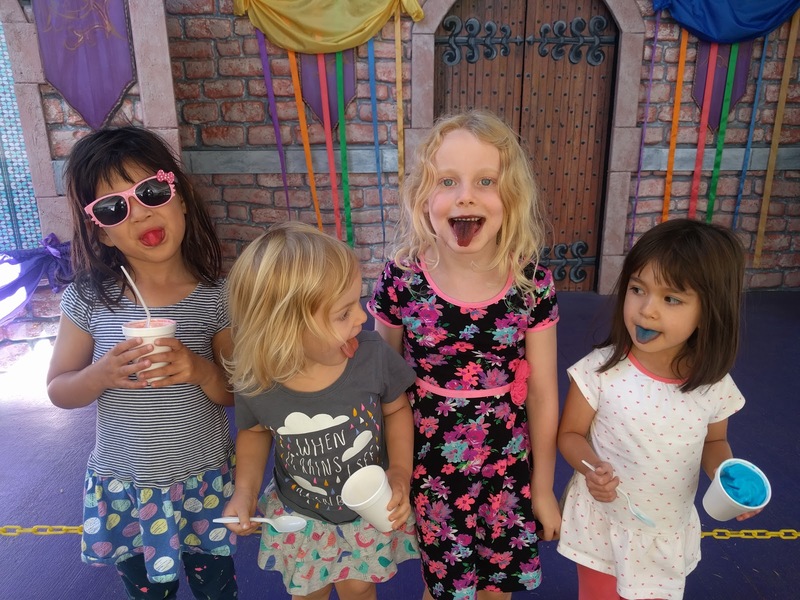 Their two girls are close in age to Josie and Audra, so it worked out really well for the big girls and the little girls to pair off for the rides. 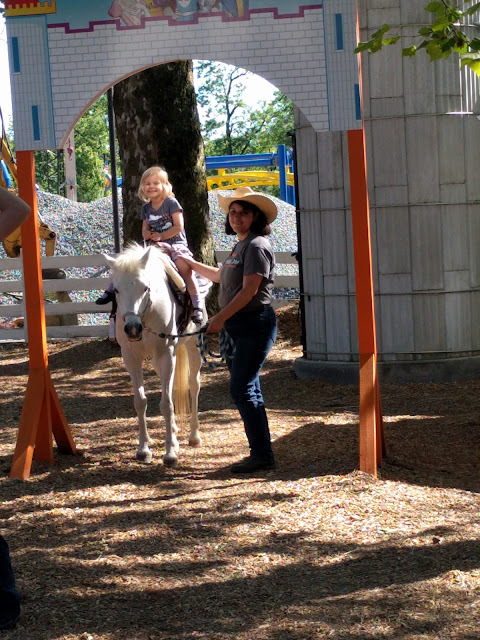 The plan had been to drive up Saturday, go for the 3-hour "preview" that's included in a 1-day ticket that evening, and then go back to the park on Sunday from opening time until 3ish before heading home. 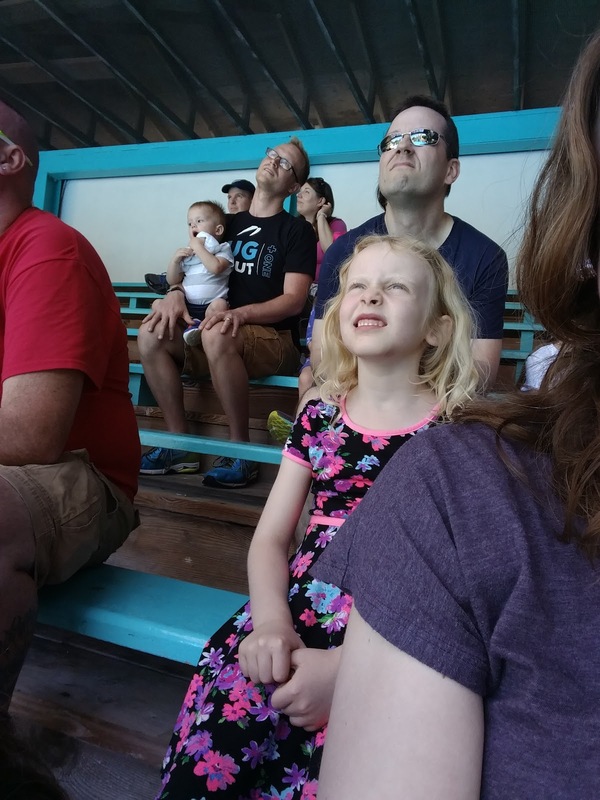 Since Josie and Audra loved the water show so much our last visit, we made a point to do it again this time. It really is a lot of fun, and I'm pretty sure even Ryan chuckled on occasion.